The 7th grade students are finishing up their teddy bears, and have had a wonderful time preparing their pillows for stuffing! Students chose a color of fabric to make their bear with, then some of them swapped pieces to make their bears two, three or even four colors! 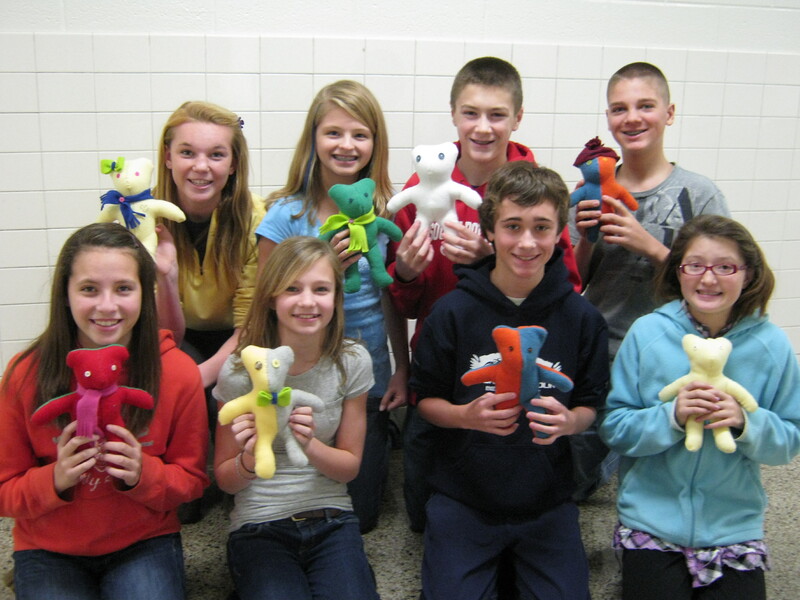 Below are some of our students with their finished bears. Some of the bears have been given scarves, hats, and bows or bow ties! Super great job kiddos!